For the next 3 months we’re taking another baby break, so the shop will be reopened in June! See you then! The „Handmade in Germany Worldtour“ stopped in New York City end of May. It was the main feature at the International Contemporary Furniture Fair ICFF during New York Design Week. 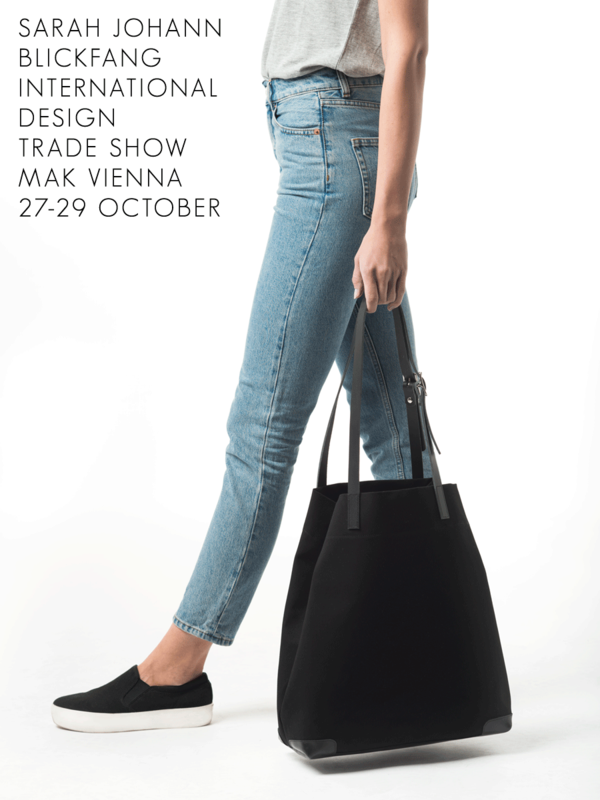 More than 150 German designers, design studios and manufacturers – including SARAH JOHANN – were presented on a 800 square meters space. The exhibition at this most important North American design fair took four days and had more than 36.000 visitors. 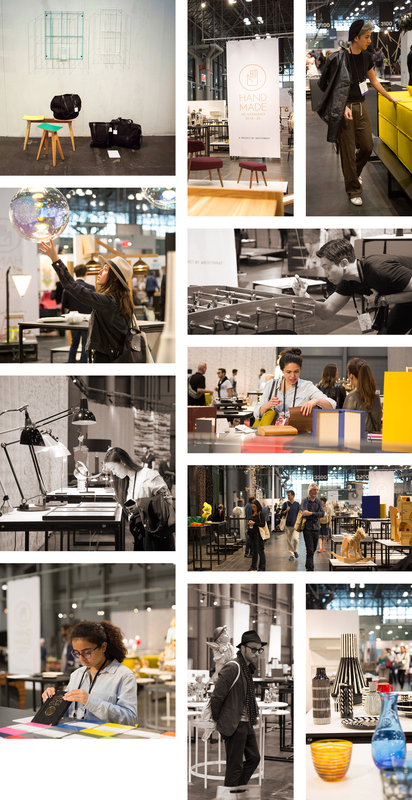 For most of them the main purpose for visiting the „Handmade in Germany“-area was to discover new designers and products, find new suppliers and check out new trends and styles of contemporary design from Germany. Only a few days left until the next BLICKFANG design trade show in Stuttgart! We’re looking forward to welcome you at the SARAH JOHANN booth! Come by if you happen to be in Hamburg! 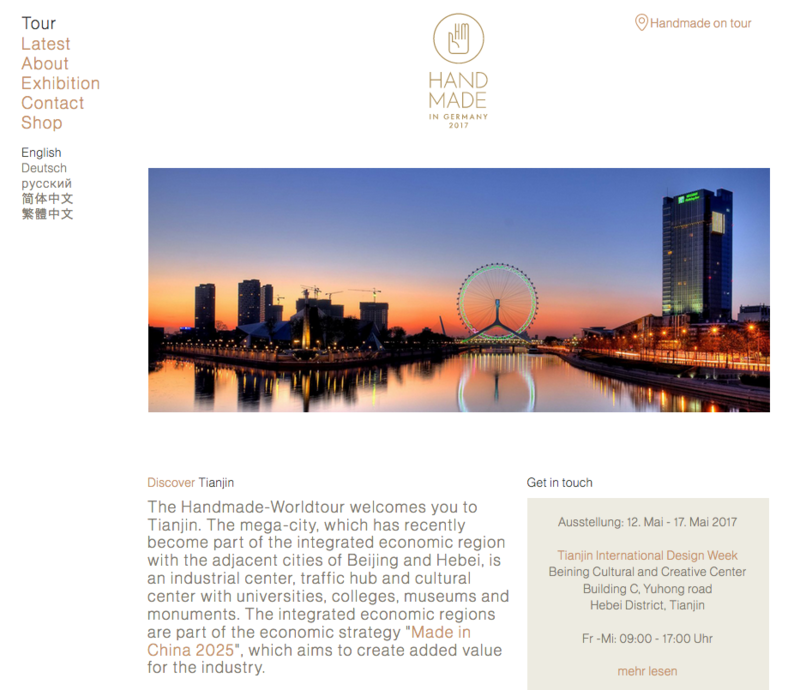 From 21 to 27 September the „Handmade in Germany Worldtour“ stopped in Beijing, China. Alongside other contemporary high-quality products from German manufactories, artisans and designers, SARAH JOHANN bags were presented during Beijing Design Week 2017 at the distinguished international Beijing Contemporary Art Museum. 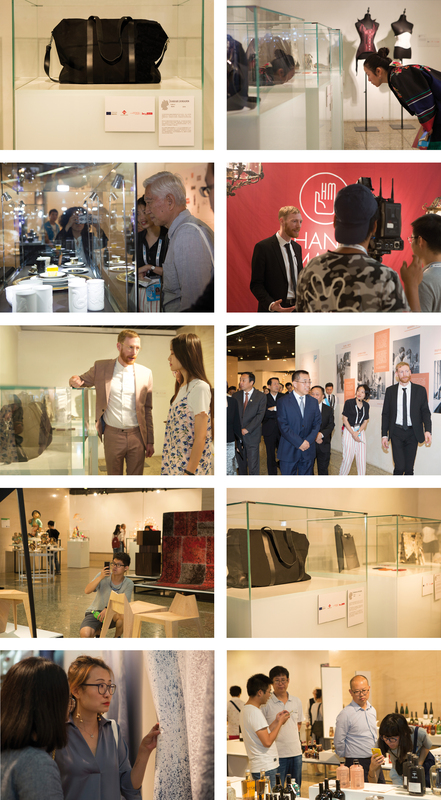 „Handmade in Germany“ – including the „Handmade in Berlin“ exhibition – was the highlight of the Beijing Design Week. It was visited by high-ranking politicians and was met with great interest by professionals and press representatives. Earlier this year I was asked by Direktorenhaus Berlin to be part of the Handmade in Germany Worldtour – an international exhibition presenting a selection of contemporary high-quality products from 180 Germany manufactories, artisans and designers, such as Faber Castell, Rosenthal, Leuchtturm or Frau Tonis Parfum. 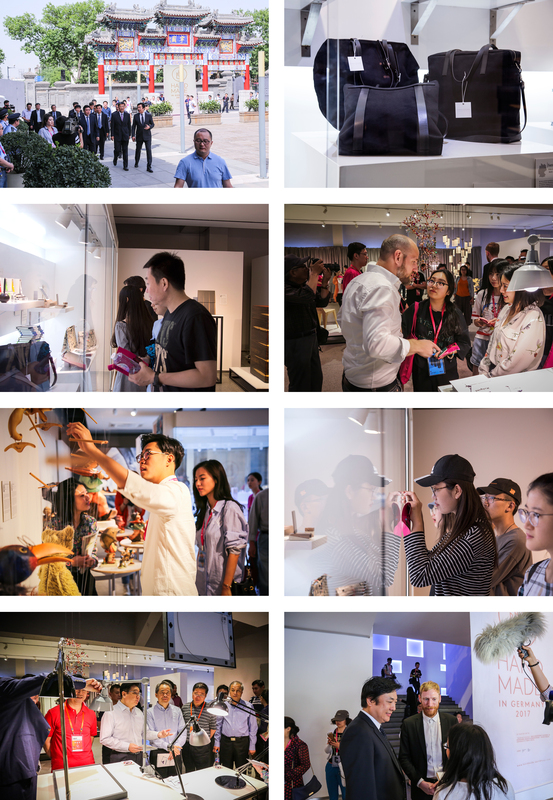 Our first stop was Tianjin, China, during Tianjin International Design Week from 13 to 17 May. The exhibition took place at the Beijing Cultural and Creative Park in an ancient building that combines traditional Chinese architecture and modern interior design. It started with an opening event – attended by a political delegation with representatives of the city and district government. Further lectures and talks gave a comprehensive overview of German design history. Next stop of the tour will be Beijing, during Beijing Design Week 2017, 21-25 September. This year the time for vacation is a bit limited. So I was more than happy that we managed to go to Switzerland in August. 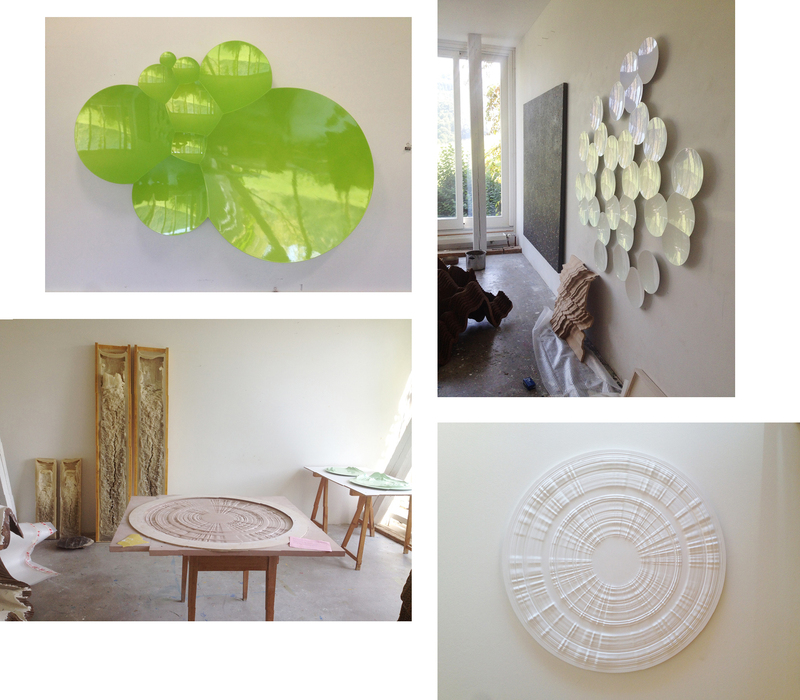 We spent a wonderful week at the cottage of our friend, Swiss artist Andrea Wolfensberger, and her family near Basel. For a Berlin resident the quietness and beauty of this landscape was maximum relaxation for all senses. And so necessary to recharge batteries for the upcoming Autumn/Winter season. That week is full of nice memories: Long walks, hikes through the Faltenjura, good food and talks, seeing Wolfgang Tillmans’ solo show at Fondation Beyeler… All in all, the perfect combination of nature, art and lovely people around. Berliners, save the date! My lovely retailer of/Berlin opens a pop-up store at Hackesche Höfe in Mitte from 15 May until 14 July! 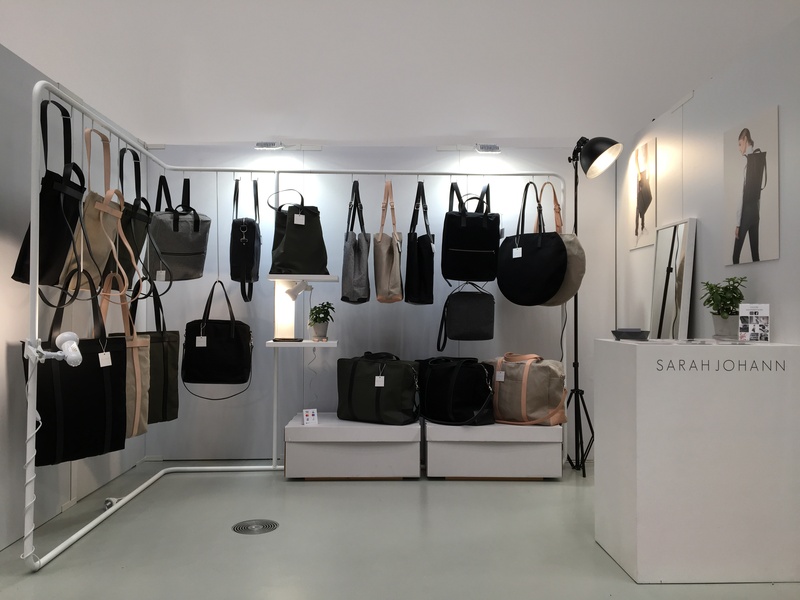 You’ll find a beautiful selection of products from local designers – including SARAH JOHANN bags. I’m thrilled to announce that SARAH JOHANN was selected for the „Handmade in Germany Worldtour“, organized by Direktorenhaus Berlin. This international exhibition presents a selection of contemporary high-quality products from 180 German manufactories, artisans and designers – world-renowned luxury brands like Faber-Castell or Rosenthal as well as young manufactories like Frau Tonis Parfum. The exhibition started in Saint Petersburg, continues to Asia, the Middle East and America before finding its way back to Europe. Next stop is Tianjin, China, during Tianjin International Design Week, 13-17 May.